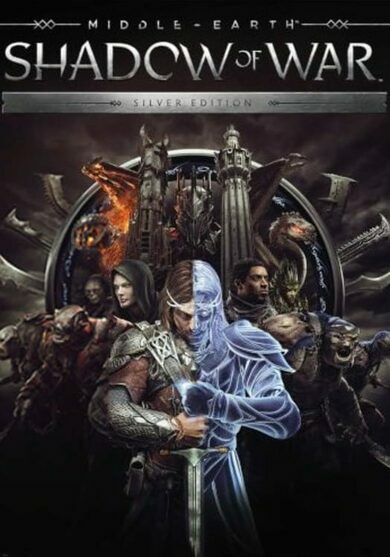 Middle-earth: Shadow of War (Silver Edition) offers the original Middle-earth: Shadow of War action RPG along with The Nemesis Expansion! Enjoy the vast LotR universe as a lone ranger Talion, form an Orc army and command it to destroy Sauron from within! In this game, nothing is ever forgotten! Due to the Nemesis System. The in-game AI remembers every battle made, so the orcs that you fight against and lose, only grow stronger and more aware of your tactics with each unsuccessful attempt! The orcs can go up the ranks and become lieutenants and generals. They have their own personalities, traits, and weaknesses that you must consider during each encounter! The world is shaped by your actions and decisions, thus it’s a unique experience that will tremendously differ from player to player!